STAINLESS 44" HEATER HOSE KIT WITH CHROME CAPS 7314 CLEARANCE SPECIAL! 44 INCH STAINLESS HEATER HOSE KIT, WITH CHROME ALUMINUM CAPS. 44 inch size. More than enough length for both heater hoses. This auction is for a brand new 44" stainless steel heater hose kit. 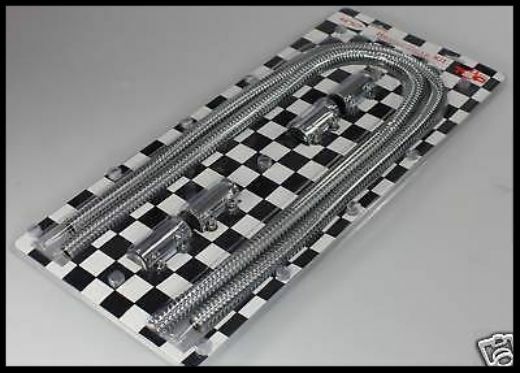 This kit includes 44" of show quality stainless heater hose. The style is what you will see at most car shows. Most sellers only offer the CHROME aluminum caps, but we offer both. See our other listings for other finishes.